Click here to Start Now ! Sign in now and start using the inbuilt Help, Videos, Templates, Material Prices, Labour Rates and Calculators to start pricing immediately. We have Thousands of Professionals Builders and Trades using our system, If they can use it to make more money and save time, so can You! If, in the unlikely event you decide Easy Estimate isn’t for you – no problem, no commitment, cancel online at any time. Our Customers love our software so we can be confident you will to. Yes it does Pricing, Costing and Quotes, but it also has all of this…..
We’re so confident you’ll love the system, if you sign up and don’t like it within the first 30 days, just drop us an email here and we’ll cancel your subscription and refund your initial payment. No software to download, just login to the website from your device to get started creating quotes. The estimating and costing system starts at £9.99 per month per user, there are no minimum contract lengths. The core system includes all the options that you would need to price any job including commercial, domestic, plumbing, electrics, landscaping and many others. Start pricing jobs right now! If you don’t like the system you don’t have a lot to lose, we have no minimum contracts simply cancel if you don’t like it. We know if you have a problem or question, time is of the essence. There are multiple ways to get help, including an email support ticketing system. Our company strives to produce the best pricing and estimating system and will promise to always prioritise our existing customers over new business. 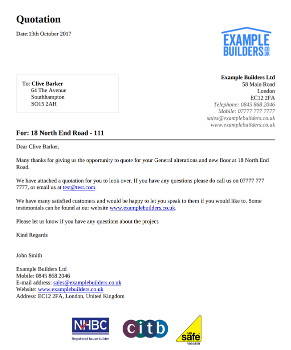 The construction estimating software can produce all the paperwork you need to give to your client, and this includes a full Quotation and Invoice ready to be printed or emailed to your customer. 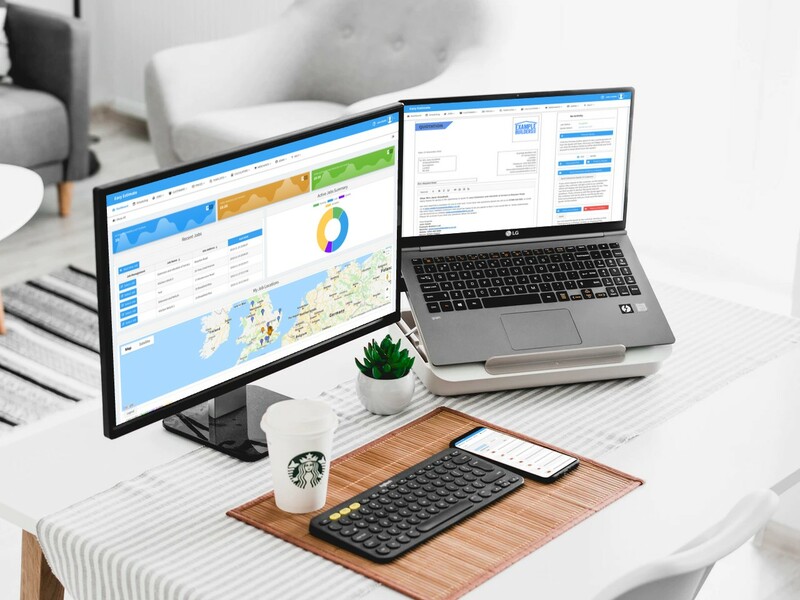 The system is based in the cloud and is accessed through a web browser, this means that the estimating software will work with Mac’s as well as PCs.